Moving to Israel or seriously trying to become proficient in Hebrew? If that is the goal - then this is just for you. Easy to Comprehend, Read, Review and Practice - nothing is left out everything is taught from scratch. 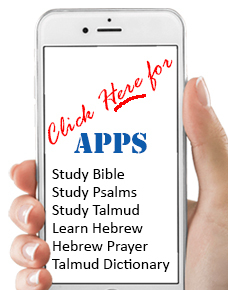 This will definitely help you quickly Master Hebrew. One of the greatest challenges people face when trying to learn a new language - is the feeling that the going is too slow - and they simply burn out. People need a sense of accomplishment to keep them moving forward, and this Hebrew Course does just that every lesson gets you closer to your goal you can feel it. Our new method of Accelerated Learning can help you make significant progress in a short period of time without relying solely on memory and that is why this particular course is so good. Our Step By Step Hebrew Course Workbook keeps you focused and moving it is what we call the Accelerated Learning Method. The Course comes with a textbook / workbook + CD-ROM for Study & Review, and includes an answer key so one can check his or her progress. The Beginner Hebrew Course features Special ways of learning the Hebrew Alphabet, which will Jump Start the learning process and before you know it you are speaking Hebrew. Moving to Israel or seriously trying to become proficient in Hebrew? If that is the goal - then this is just for you. Easy to Comprehend, Read, Review and Practice - nothing is left out everything is taught from scratch. This will definitely help you quickly Master Hebrew. One of the greatest challenges people face when trying to learn a new language - is the feeling that the going is too slow - and they simply burn out. People need a sense of accomplishment to keep them moving forward, and this Hebrew Course does just that every lesson gets you closer to your goal you can feel it. Our new method of Accelerated Learning can help you make significant progress in a short period of time without relying solely on memory and that is why this particular course is so good. Our Step By Step Hebrew Course Workbook keeps you focused and moving it is what we call the Accelerated Learning Method. The Course comes with a textbook / workbook + CD-ROM for Study & Review, and includes an answer key so one can check his or her progress. The Beginner Hebrew Course features Special ways of learning the Hebrew Alphabet, which will Jump Start the learning process and before you know it you are speaking Hebrew. This really helped me a lot. First to overcome difficulties in increasing my pace in reading Hebrew. Second it really made it easy for me to start pronouncing and listening spoken Hebrew. The Special List of common words to know - make a good start for your Vocabulary are most useful as well. My satisfaction with this Course was the reason I continued and bought your other title "A Step by Step Guide to Modern Hebrew" keep up the good work my Hebrew is really coming along I am very satisfied. This book is easy to work through; and the companion MP3 CD allows the reader to follow the exercises with precise instructions and clear pronunciation. Although I am not a beginner, the introductory repetitive exercises brought back fond memories of having the Hebrew letters and sounds instilled into me. Sentences are introduced syllable by syllable, eventually getting the student to read without vowels. An interesting aspect of the book is the use of loan words English words adapted into Hebrew giving a familiar resonance to the readings. There is also a chapter introducing the student to writing Hebrew. Cross-references to tests and extra help sections, and extensive vocabulary lists (I reckon that there are over 600 words) assist the student in gaining a firm foundation in Hebrew. Being able to pick up words and phrases in news bulletins certainly makes them more comprehensible! Hebrew for Beginners has given me greater confidence to use the language I must say give this Five Stars! I really like the way the book Hebrew For Beginners is designed because the authors use a simple and clear technique which allows the learner to pick up the language with ease and in a short amount of time. The beginning steps of learning Hebrew can be challenging, but this book's strategy of separating the words and sounds by each syllable makes the goal of reading so much easier. Many of the words in the Hebrew language are borrowed from English so as you begin to read you can also understand what it is you're reading which is wonderful. I especially like this book because it includes an audio CD-ROM. Listening to it along with the lessons in the book is like having a personal guide sitting right next to you letting you know if you are pronouncing the words correctly or not. The book is very effective and is a wonderful pattern for teaching any language. I highly recommend this book for anyone who wants to learn Hebrew quickly and easily. This Course or Textbook, serves as a great foundation and companion for the sequel Modern Hebrew A Step By Step Guide. The CD that accompanies this Course is a really helpful tool, ideal for independent learning. The speakers have pleasant voices and pronounce sounds and words slowly and clearly. The author guides students through basic reading exercises, eventually making the transition to reading without vowels. Also included are basic vocabulary, a script-writing lesson, answer key and dictionary. My 4th grade students at a supplementary school in NYC enjoyed the script writing activities and the assessment pages were a useful review. I also incorporated his tables of opposite words into my curriculum. Overall, this is a great confidence builder for Beginning Hebrew Students and is appropriate for adults, children or intergenerational learning. This is a super book for any English speaker who is beginning to learn Hebrew. The Authors have compiled this book specifically with the special needs in mind that many, many English speakers have when they start learning Hebrew. With their Ground Breaking innovative teaching system they address such sensitive areas as reading Hebrew from right to left, developing skills for listening to rapid Hebrew speakers; making the switch to vowel-less reading; helping the student to become acquainted with 'TV and Radio News' vocabulary and much, much more. The CD-ROM that comes Bundled with the Course is also very well done, moving at a good pace for the beginner. Yigal Tzadka and Rebecca Haviv are quite pleasant to listen to. The authors have made it interesting, fun and easy to learn using the book and CD together. The authors include many wonderful and very useful 'helps' and references, especially for learning vocabulary. The layout, the print size and the spacing of everything is absolutely excellent, easy to read and understand, and easy on the eye. This book and CD is very well thought out and extremely considerate of the English speaker who is just beginning Hebrew. Yes, and even the cover of the book is beautifully designed. The bright, yellow Menorah is very special on the blue and green background, very appealing to the eye! It makes you want to pick it up and study and when you do you are not disappointed by what you find inside!